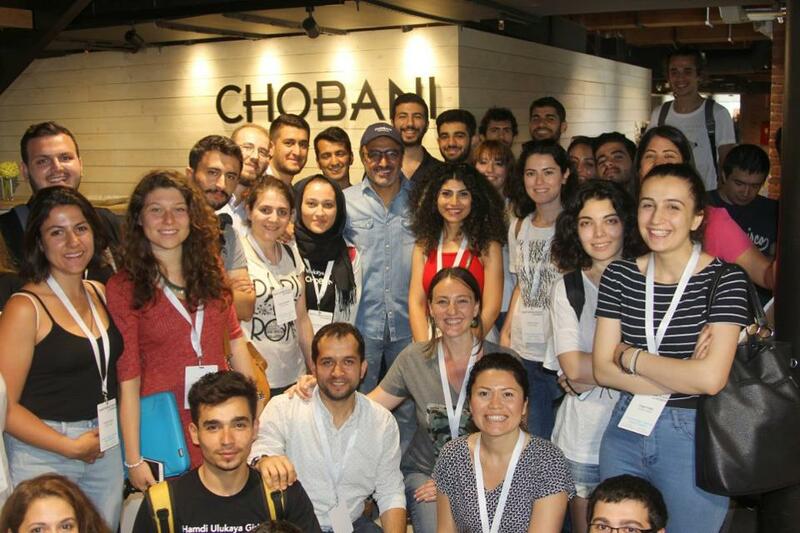 Hamdi Ulukaya, the Turkish-American billionaire behind the yogurt company Chobani, has recently launched the Hamdi Ulukaya Initiative, known as HUG in Turkish, to train up-and-coming Turkish entrepreneurs. The initiative supports two kinds of applicants: ones who are running existing startups and others who are hoping to turn their ideas into profitable ventures. The inaugural class of the initiative, which has an anticipated budget of up to $5 million from Chobani over five years, comprises 6 startups (out of nearly 400 applications) and 24 entrepreneurs (out of more than 3330 applications). Following a boot camp in Istanbul, the young Turks arrived in New York on July 2nd and will stay in the country for nearly three weeks. They are attending workshops at Chobani facilities, professional development seminars at NYU, and visiting accelerator and innovation centers in New York and Boston. The startups supported by the initiative range from a beachwear company that imports handmade textile products from Turkey to a mobile platform that aims to provide free education for children with autism. Atakan Altay, a 28-year-old from the city of Mersin in Turkey, is the founder and CEO of Agrikey, a biotechnological company he established in 2015 that produces biological plant nutrients to efficiently nourish crops. The initiative has reinforced his desire of turning his family firm into a global company, but has also taught him a lesson beyond the development of his business skills. “We shouldn’t only think about making profit, we should think about how to give back to society” Altay told FORBES. Ulukaya came to the U.S. in 1994 to study business. In 2005, he bought an old Kraft Foods yogurt plant with a loan from the Small Business Administration and started the Greek yogurt company that had roughly $1.5 billion in revenue in 2016. An avid philanthropist and refugee rights activist, Ulukaya signed The Giving Pledge in 2015, donated 10% of Chobani to its 2,000 full-time employees last year and has hired hundreds of refugees at the company’s factories in Idaho and New York. If you want to read this article in Arabic, follow this link.